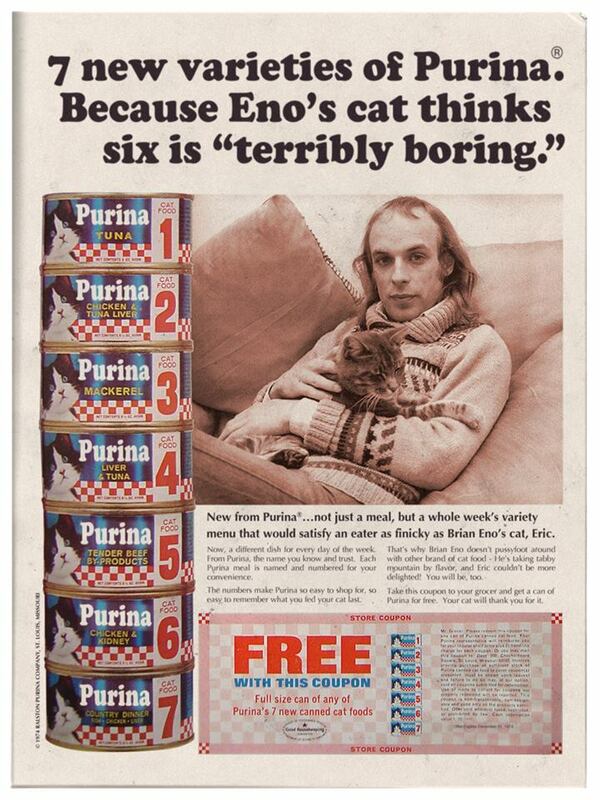 As devoted listeners of Sound Opinions know, producer, non-musician, and all-around rock super-genius Brian Eno ranks second in my personal pantheon of musical heroes only to the late rock critic Lester Bangs. As they also know, I have a deep and abiding disdain for anyone who sells their art to advertising, as out-dated as that notion may now be. So it is with some minor revulsion that I share the following vintage magazine ad recently sent my way by my old friend and fellow Eno-phile Ken Weinstein. But, honestly, given what he is peddling, those feelings are by far overpowered by plain old amusement.